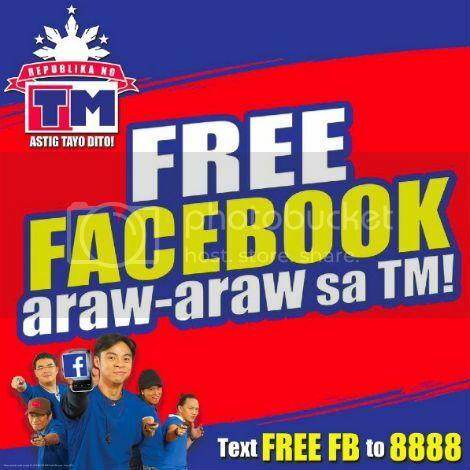 TM and Globe subscribers are now provided a chance to have FREE access on their Facebook accounts using their mobile phones, provided that they either have a Globe or TM sim at hand. To avail this promo, simply text FREE FB to 8888. Then go to m.facebook.com/free using your cellphone’s browser to log-in and click Start Now. Actually, you can also use Facebook apps on your smartphones like Facebook for Android, Facebook for iPhone, and Facebook Messenger apps. To make sure that you’re connected for FREE, you should find a black bar at the top of your screen that says “Free Data” or “Free access with Globe and TM.” This TM or Globe FREE Facebook promo runs till January 25, 2014.